Will the Banks be Held Accountable? We can hope so, but we’ll have to wait and see. A few days ago we reported on GMAC and JPMorgan Chase – that they were temporarily suspending all foreclosures in 23 states while they investigated claims of “robo-signing” of foreclosure documents. The next day Bank of America also suspended foreclosures in those 23 states. Why 23 states? Because those states are the ones that require court approval for foreclosures. In lieu of actually going to court, they are allowed to present signed affidavits swearing that they have reviewed the files and the documents are in order. Their excuse for this sloppiness was that with 8 to 10 thousand forms to sign each month, they just “didn’t have time” to do it according to the legal requirements. 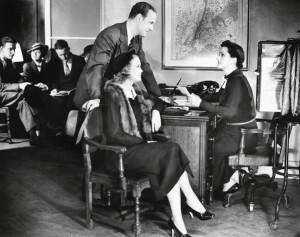 Statements by banking officials carry a tone that suggests that since they are so busy, they are justified in cutting these corners – in spite of the potential damage to individual homeowners. Now key lawmakers are demanding that more than 100 mortgage companies halt foreclosures while they determine whether foreclosure documents they approved might have contained errors. The 23 states involved in this action are Connecticut, Delaware, Florida, Hawaii, Illinois, Indiana, Iowa, Kansas, Kentucky, Louisiana, Maine, Nebraska, New Jersey, New Mexico, New York, North Dakota, Ohio, Oklahoma, Pennsylvania, South Carolina, South Dakota, Vermont and Wisconsin. But now, other states are weighing in. The Texas Attorney General’s office has called for a halt on all foreclosures. They’re also asking for a halt on sales of all properties already under bank ownership as well as all evictions of persons residing in those foreclosed homes. They’re giving the banks until October 15 to reply to the demand letters. Maryland Governor Martin O’Malley has done the same. In California, Attorney General Jerry Brown called on J.P. Morgan Chase & Co. and Ally Financial Inc. to suspend foreclosures unless they can prove that they are in compliance with state law. Real estate professionals dealing with Short Sales have long been frustrated by the sloppy paperwork, lost documents, and delays that they and their clients have endured at the hands of the banking giants. At times, homes that were in the midst of short sale transactions or even loan modifications were suddenly foreclosed upon – despite assurances that the foreclosure had been halted. Now we realize why this has happened. Employees in the Foreclosure departments simply did not read the files and thus were not aware of the loan modifications or short sales in progress. Will the banks be punished for their fraudulent behavior? Will they owe monetary damages to homeowners who were harmed? Or will this sloppy behavior be forgiven and swept under the rug? We’ll all be watching to see the outcome. Could This Banking Fraud Stabilize the Housing Market? Fraud, greed, and government regulations led to the crash of the housing market. Now banking fraud, greed and general carelessness could lead to a stabilization in the housing market. Because the expected glut of foreclosed homes is not going to hit the market soon. Thousands of foreclosures are being delayed and could even be cancelled. 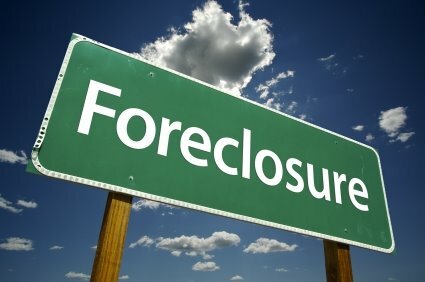 As of now, JPMorgan Chase and GMAC have suspended all foreclosures in 23 states. GMAC didn’t provide a number, but Chase is suspending 56,000. Home sales have been undermined these past months by the expectation that large numbers of foreclosures were about to be released – causing housing prices to slide further. That expectation has caused many consumers to put off buying a home. If the flood stops or slows considerably, housing prices may stabilize. In their quest to speed up the foreclosure process, banks have been cutting procedural corners. Both GMAC and Chase have admitted to filing affidavits for summary judgment without knowing if the facts stated in those affidavits are true. By signing the document, the signer indicates that he or she has personal knowledge that those facts are true. That means the signer is saying that he or she has reviewed the cases and knows the documents are correct. And that hasn’t been the truth. It appears that banks have been taking their procedural cues from our Senators and Representatives – stating in their own defense that since they have so many foreclosures to process, they simply didn’t have time to review the cases before signing the affidavits and other documents. The term “robo signers” has been coined to describe the way banks have handled the signing of legal documents. Unfortunately for them, those lawmakers who sign bills into law without reading them aren’t stepping up to say its OK to file affidavits without reviewing the cases. Shifting the blame is nothing new, and apparently banks are shifting the blame to the legal firms who supply the documents for signing. According to the South Florida Sun-Sentinel, Florida’s four largest foreclosure law firms are now under investigation for fraud. Flordia is one of the 23 states where Chase and GMAC have suspended foreclosure activity for the time being. Lawsuits are already being filed, and according to lawyers representing homeowners, the lenders will likely be defeated in court due to their own carelessness. Many of the necessary documents have been misplaced or otherwise disappeared. This will come as no surprise to real estate professionals who deal with short sales. They have been struggling with the lenders’ “lost document syndrome” for the past couple of years. Although no others have admitted wrong-doing, Chase and GMAC are not the only banks affected. Experts predict that all banks will now take a closer look at procedures in an effort to avoid lawsuits from homeowners who feel they have been wronged. The expectation is that banks will make a greater effort to keep people in their homes rather than rushing to foreclose. That, of course, would be good for homeowners, neighborhoods and housing prices. Exposing and halting fraudulent activity is always a good thing. But there is one “fly in the ointment” in this situation. Homeowners whose foreclosures are final and whose previous homes have been sold may be stepping forward to file lawsuits. If the courts find that the completed foreclosures were in fact done improperly, families who bought those foreclosed homes could find themselves entangled in a legal mess not of their own making. Could this possibility at least temporarily slow the popularity of buying banks’ REO properties? Are Bank Foreclosures a good buy? There is one thing for sure, perception affects any market. You hear “buyers market” and buyers think they are going to get this magnificent deal on a home. Regardless of who owns a home, the owner’s want what the market will allow for that particular home. That is the case with bank foreclosures. Just because a bank took back a home does not mean you will get any better of a deal than if you bought that home from the original owner. In some cases depending on the bank you can get a one of their properties for usually between .75cents to .90 cents on the dollar. But one thing I assure you is the bank will do what is called a B.P.O. on the property. The asset manager usually requests this from the realtor that will be listing their properties for them. B.P.O. is broker price opinion, which will give the real value of the home in that particular real estate market it’s in. What’s does this mean for a buyer? Let me ask you this, if it was your house to sell wouldn’t you find out the true value of your asset to get some idea what you could sell that asset for? Absolutely….. You would. Banks done give homes away, they sell them to get that home off their books for market value. So if you are in the market currently for a home, don’t get this idea that you will get a home for nothing just because the home is a foreclosure, even if that home has been on the market for 2 years. A bank or Asset manager is not ignorant. They know what the house is worth, and if you offer them some ridiculous offer they might refuse to deal with you period. Asset managers are extremely busy in this market and don’t have time to deal with offers that are a waste of time. Yes, in some cases you can get a home for a little less than current market value, but you have to shop around and have a very experienced real estate professional at your side. One more note, it’s called a buyers market because the homes for sale out weigh the number of buyers out there. Foreclosures are pretty active currently across the country. As more and more adjustable rate mortgages (ARM’s) are set to expire, and the values of the homes continue to fall, the home owner has no choice but to foreclose on their home. The reason is the value is not in the home to roll in the closing costs associated with a refinance. With all of this going on there is hope to buy a home in the near future, as long as you take the necessary steps to get your credit report and credit scores revived. I recently had a foreclosure due to my ARM expiring, we did not have the credit nor the value to refinance our house. So we had no choice but to let it go. I feel like we really got taken advantage of with the bad loan we were put in. My question to you is how long will it be before we can buy again, and what necessary steps do we need to take so we can buy. Foreclosures are definitely one of those situations that is not pleasant. All of these subprime loans that were giving were like a double edged sword, if you did not go with the subprime loan you did not get a house, if you went along with the subprime loan you got a house with ugly terms. Anyways, in order to buy a home, you will have to wait a minimum of 3 years.FHA loans will be the type of financing you will be able to get. They require 3 years from foreclosures date. In regards to your credit, depending on what type of credit you have if any, you will need at least 3 lines of credit reporting on your credit report. For example; a couple of credit cards, and maybe a car loan. If you don’t have any credit, you will need to get a couple of secured credit cards. You can get these cards at our site, www.creditscorequick.com/secured_cards. Are you currently having trouble making your mortgage payment? Has your mortgage company sent you notice or called you? 1. Contact your lender as soon as you realize there is a problem. Lenders don’t want your house back. They have options to help families that are going through tough financial times. 2. Don’t ignore that there is a problem. The further you get behind the hard it is to reinstate the loan, and you will more likely loose your house. 3. Undertand foreclosure prevention options. 4. Open and respond to all your mail from lender. The first notices you receive will offer good information about foreclosure prevention. The mail that will come later will give notice of pending legal action. Your failure to open your mail will not be a excuse in foreclosure court. 5. Know your mortgage rights. Find your mortgage documents so you can find out what your options are with your currently lender if you can’t make your payment. Learn about the foreclosure laws and timeframes for your state by contacting the State Government Housing Office. Every states laws and timeframe are different. After healthcare, keeping your house is your first priority. Review your finances and see where you can start cutting back on spending. Look for luxury expenses like cable, memberships, and entertainment you can eliminate. You don’t need to pay fees for foreclosure prevention help-use that money to pay the mortgage instead. Many for-profit companies will contact you promising to negotiate with your lender. While these may be legitimate businesses, they will charge you a hefty fee (typically two or three month’s mortgage payment) for information and services your lender or a HUD approved housing counselor will provide you for FREE if you contact them. Do you have assets, jewelry, a whole life insurance policy that you could sell to help re-instate your loan? Can anyone in your household get a extra job to bring in additional income? Even if these efforts don’t significantly increase your available cash or your income, they will demonstrate to your lender that you are willing to make personal sacrifices to keep your home. 10. Don’t lose your house to foreclosure recovery scams ! If any firm claims they can stop your foreclosure immediately if you sign a document appointing them to act on your behalf, you may well be signing over the title of your property and becoming a renter in your own home ! Never sign a legal document without reading and understanding all the terms and getting professional advice from an attorney, a trusted real estate professional, or a HUD approved housing counselor.